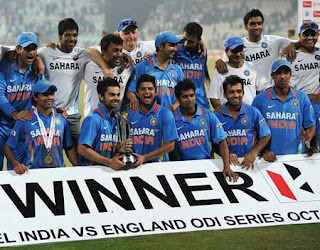 After being thoroughly decimated and pummeled into submission by their ebullient and clinical English hosts this summer, Team India came back home to a tepid welcome, brickbats and humungous disappointment. Much was expected from MS Dhoni and his confident unit, but alas! They flattered to deceive (on second thoughts, all they did was “flatter” the English team and “deceive” cricketing sense!). 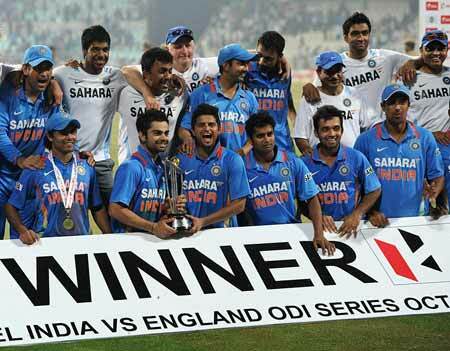 Team India came a cropper and endured one humiliating loss after another. The fact that they returned without a single victory on their torrid English tour was symptomatic of their lack of adequate preparation, “luckless injury syndrome”, dubious team selection and a general absence of fundamental application. The World Champions had been humbled and how! Knocked off their high pedestal…licking their wounds; the Indians returned to regroup for their Home ODI series against the same opposition. Billed as the “Revenge Series”, there was a veritable degree of attention directed at the series, even before it got underway. Beset by injuries to key players, MS Dhoni and his young squad had the unenviable task of beating (some would say, “bringing down to Earth!) a buoyant and well balanced English unit, fuelled by confidence and a welcome injection of young blood. Without the likes of stalwarts such as Sachin Tendulkar, Virender Sehwag, Yuvraj Singh, Zaheer Khan and Harbhajan Singh in the side; Team India faced an uphill task. 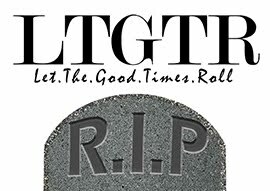 Defeat was an ostentatious luxury they could no longer afford. “Failure” was a word that couldn’t have a place in their motivational lexicon. The time was ripe for India to step up to the plate and “defend their territory”…and defend their territory they did with aplomb and how! There were numerous positives to take away from this series for India. The batting and bowling clicked as a collective unit for the first time in many months. The manner in which the youngsters donned the mantle of responsibility and came out trumps is most praiseworthy. 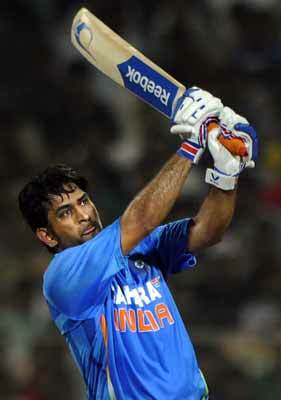 On the batting front, MS Dhoni led by example and played some critical knocks to put India into match winning positions. He finished with 212 runs in the series; without being dismissed a single time! He has definitely transformed himself to become one of the best finishers in present day ODI cricket. The likes of Gautam Gambhir, Ajinkya Rahane, Suresh Raina and Virat Kohli too shone with the bat. Kohli has been in stupendous form all throughout this calendar year and has merely carried on in the same vein. His maturity, consistency, confidence and insatiable appetite for success are exceptional. If his recent form is anything to go by, the future appears more than bright for the talented Delhi lad. Rahane too staked a claim for a Test berth with his relatively consistent showings. However, he does need to learn how to rotate the strike more often and build on his starts to eventually log substantial scores. The diminutive Parthiv Patel failed to impress while opening the batting with the perennially improving Rahane and did himself no favours by throwing his wicket away after getting off to reasonable starts. What was noteworthy was the fact that, someone or the other always raised his hand and “did the job” in testing situations; wresting the transient initiative back from the Englishmen. The same English bowlers that had the Indians hopping in grave discomfort in their own back yard were now being thrashed all over the park. In the absence of senior bowlers like James Anderson and Start Broad, the young English bowling lineup struggled on the docile and unresponsive Indian tracks and lost the plot entirely, especially in the death overs. On the bowling front, the Indians evidently outperformed their English counterparts. The likes of Praveen Kumar and R Vinay Kumar bowled with verve and consistency, giving India the crucial initial breakthrough on more occasions than one. It was more than heartening to watch Umesh Yadav and Varun Aaron go flat out and beat the English batsmen with some ferocious pace! For far too long now have we incessantly clamoured, pondered, wondered ”Where is our Brett Lee?”, “Why don’t we have out and out pace bowlers to trouble the most competent international batsmen? ?” Yadav and Aaron certainly did their future prospects no harm by rattling the Englishmen with sheer pace on the flattest of “batting utopias” (read Indian pitches!). If the performance of the India’s pace battery was satisfactory, then India’s spin duo in R Ashwin and Ravindra Jadeja were not less than revelatory. The markedly contrasting off spinners bowled with guile and zip, using their myriad variations to good effect to bamboozle the jittery English batsmen. The likes of Ian Bell, Ravi Bopara, Jonathon Bairstow and Samit Patel struggled to counter the spin and allowed them to dictate terms with som e poor shot selection and inefficient foot work. Ashwin appears to be growing in confidence with each outing and has now emerged as a serious contender for a Test berth. 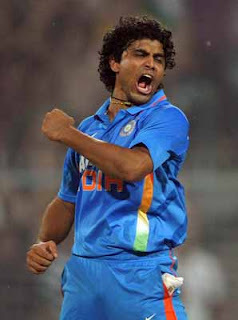 Jadeja too turned in some fine performances, with both bat and ball; furthering his growing reputation as a promising all-rounder. Revenge or no revenge…retribution was served in ample doses to an unwilling English side that surrendered rather tamely to the “Indian juggernaut”. Alistair Cook and his men will return home a bruised outfit…whitewashed in ignominy. They say sport is a great leveler. Certainly rings true for the English – they have been comprehensively “leveled” indeed! For India though, it is now a matter of capitalizing on their recent success and consolidating their position. But for now though, they can bask in the glory of successfully conceiving and serving the Englishmen an unappetizing dish we call…sweet, sweet revenge! The Writer is presently pursuing his Bachelors in Business Administration at NMIMS, Mumbai. He attempts to address myriad issues of both domestic and global consequence, ranging from Business and Economics to Geopolitics...from Sports to Arts and Culture. He is also a keen Debater, Munner, Quizzer, Painter and Amateur Freestyle Rapper.